Welcome to Wow Us Wednesdays. I am so glad you are here to share some more of your wonderful talent and inspiration. So many great links last week which always makes it hard to pick just a handful to feature, but here we go. 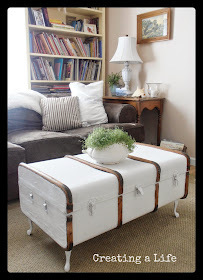 I love how this vintage steamer trunk was transformed into a coffee table by Creating a Life. Life Love Larsen shared how she created this cute life preserver. I love when vacations are shared throughout blog land so I can visit from the comfort of my chair and dream of new places to go. 21 Rosemary Lane shared these beautiful photos from their camping trip. Mr. Savvy and I hope to try out a camper sometime and I told him I found another place to see. Are they real or are they faux? Bet you can't tell can you? 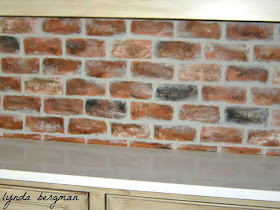 Lynda did a fabulous job on this brick wall and she shares the tutorial, too. 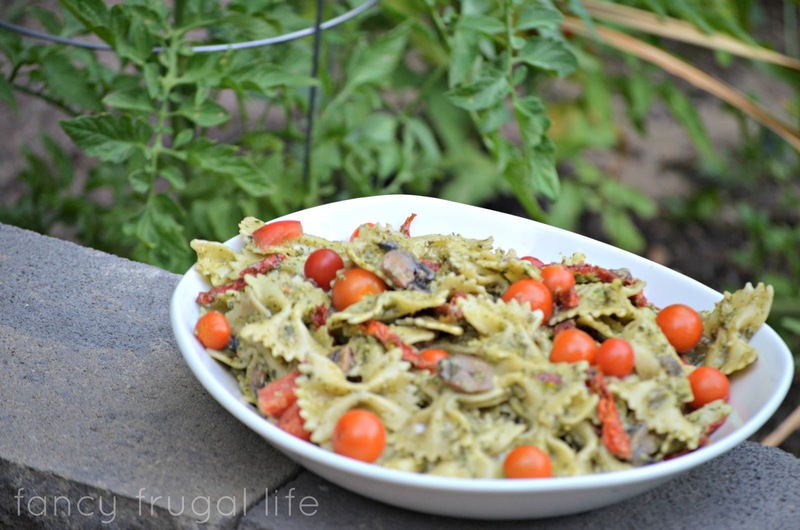 This pistachio pesto pasta salad, say that three times fast, sure looks good shared by Fancy Frugal Life. There is something so refreshing about anything lemony in the summer. 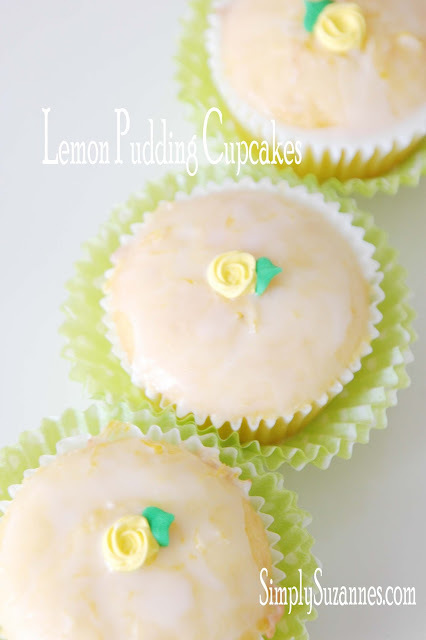 These lemon pudding cupcakes by Simply Suzanne's sure look good. Thanks to everyone who partied here last week and if you were featured please feel free to grab a "featured" button from my sidebar. Now we want to see what you have to "wow us with" this week! Thanks for hosting, Kim! Have a wonderful Independence Day with your family! Thanks soooo MUCH for the party Kim!! 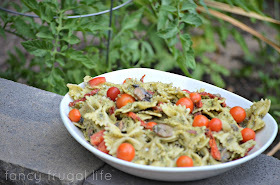 Oh yum that pesto sounds so good, and we have gobs of basil right now! Thanks for hosting Kim! thanks for having us over Kim, have a great 4th! Oh my!...how cute is that life preserver. sure hope the rain holds off during the holiday. Thanks fir the party, Kim! Love that steamer trunk table!! 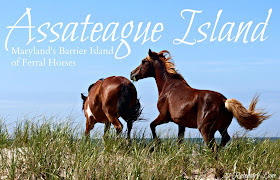 Thank you so much for sharing our camping trip to Assateague Island. It truly was so much fun. I hope you and Mr. Savvy have the chance to camp there...so rare to see places untouched by human technology! Wishing you a wonderful 4th of July!!! Hi Kim, I sure appreciate all the great links you attract to your party. Thanks for hosting! Great features Kim, thanks for hosting! Wishing you a Happy Independence Day! Thanks so much for hosting, Kim! Hope you have a Happy 4th of July! Have a great 4th Kim, thanks for the ever inspiring party! That blue dresser is a show stopper! Thanks for hosting Kim. Those are some great features, Kim! Love those hand-painted shoes! Hope you have a wonderful July 4th! Great features and love vacation posts too...Thanks for hosting Kim...Have a wonderful 4th!!!! Thanks so much for hosting, Kim. Such a great party. Thanks for hosting, Kim! As usual, I am overwhelmed with inspiration! Happy 4th! I am red, white, and blued to happiness - great links. Thank you for hosting. Thank you so much! Love your party! Thank you so much for your great party Kim. Enjoy your Fourth weekend ahead. Great feature, Kim! Thanks for hosting! Happy Fourth of July! Hi Kim, Thanks for hosting each week. Thanks so much for hosting Kim! I know it has got to take a lot of time each week. Love that coffee table! Thanks for hosting and Happy 4th! Thank you Kim! Enjoy your 4th of July! So excited to share my post this week! Thank you kim! Thanks Kim, for highlighting my DIY Life Preserver! Made my day! Thank you for hosting! Love this week's features! Craving one of those lemon pudding cupcakes. Have a great week, Kim. Happy 4th! 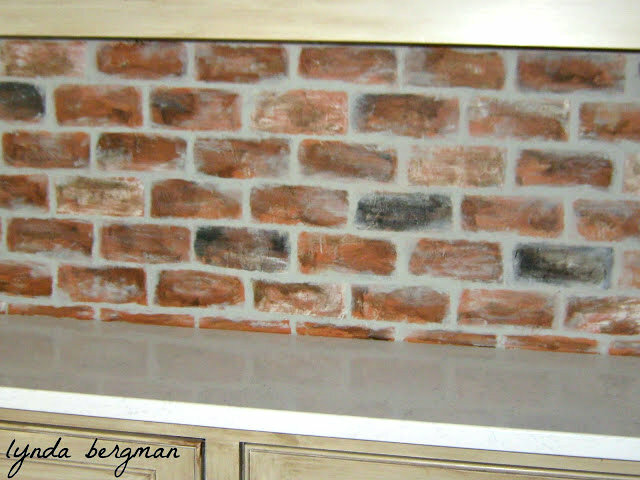 Thanks so much for featuring my dresser makeover Kim. It's such an honor. Thanks also for hosting each week. Looks like your party this week is off to another great start. I'm looking forward to checking some of them out. Have a happy 4th! Love the features. Thanks for hosting every week! A little note to thank you so much for featuring my Lemon Pudding Cupcakes this week! I want a pair of those painted shoes! Thanks for hosting Kim! Vos publications sont toujours fascinantes et remplies de nouvelles découvertes. I really enjoyed the chance to discover new blogs and find some great inspiration! Hey Kim, just stopping by to let you know I have nominated you for the Super Sweet Blogging Award! Hi Kim, I'm trying to add this post http://www.restyledvintage.com/2013/07/coastal-coffee-table.html to your party and it says it doesn't contain a backlink to your page, but I have put your button at the bottom of my post...help please? Thanks for hosting, Kim and Happy 4th! My first time here, thanks for hosting! Have a blessed and safe 4th! Thanks for hosting, Kim! Thanks so much for hosting, Kim! Happy 4th of July to you! Thanks for hosting - always an inspiration to see the varied posts. Happy 4th! Thank you for hosting your party today. Have a great 4th of July!! Thanks Kim for featuring my painted shoes on Wow Us Wednesday #125. It has already brought a lot of traffic to my site. Thanks for hosting the party. Hope you and the hubs have a wonderful holiday! Is this the largest party ever? I am at the tale end again. Love your features and since it is raining and more on the way I look forward to reading blogs all day tomorrow. No company this holiday. We will be well rested. Hope you have a great holiday this fourth. Thank you for a wonderful party each week. Kim, thanks so much for including my trunk coffee table in your features! Hope you enjoy your 4th! Thank you for hosting Kim!! Have a happy 4th!! I am not very original. I was about to type my comment and noticed that it was the exact words of Lori above me. So instead, thanks for hosting the party each week and I wish your family a fun 4th of July. Thanks for the party, have a happy 4th! Thank you so much for hosting Kim, happy 4th !! Thank you so much for the fun party. I see you next week. Great features! Just got back from vacation I will be back next week to join in on the party!Now to get caught up on reading and emails!